The Swans’ Basil Benjamin (#8) fights through numbers against Miami, April 22 in St. Petersburg. 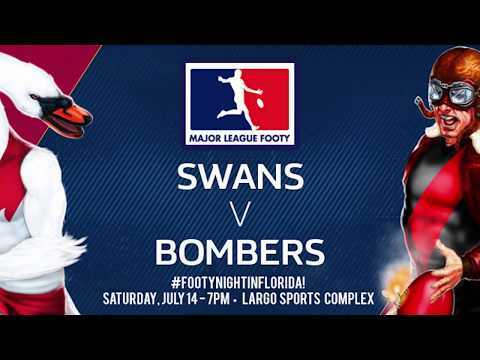 Footy returns to Downtown St. Pete Saturday night, when the St. Petersburg Swans (1-2) host Orlando AFC (1-0) in a 7pm start. Fresh off a 108-point win over Miami, St. Pete will be looking for revenge for a March 11 loss to a fiesty Orlando side. The decision marked the Swans’ second consecutive season-opening home loss to the Kangas. An infusion of new talent in midfielder Patrick Bilder (New York, Baton Rouge), half-back Jeremy Tartt and ruck Torian Johnson (Denver) should give the Bloods added depth up and down the list as the club looks to get their summer season back to the .500 mark after two early-season losses. 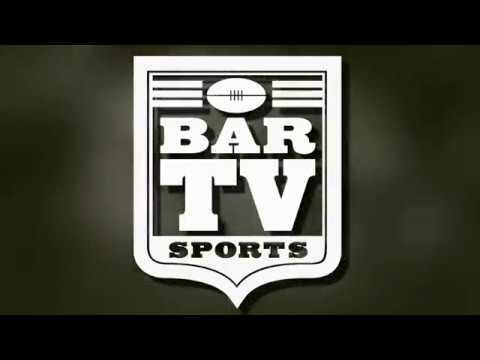 With USAFL matches awaiting in a June 3 trip to Nasville to take on the Kangaroos and Atlanta, the Swans remain focused on moving up the Major League Footy Premiership Season ladder. Meanwhile, an Orlando win would give the Kangas a 2-game cushion over the Swans as the summer season heats up. St. Petersburg Swans (1-2) host Orlando AFC (0-1) at Four ‘N Twenty Field at Campbell Park in St. Pete. Gametime is 7pm.